About - GORDON CENTRAL PERFORMING ARTS ALLIANCE, INC. The 2018-2019 school year begins my 31st year teaching, all with the Gordon County Schools System. It is my pleasure to teach students to love music and theatre. 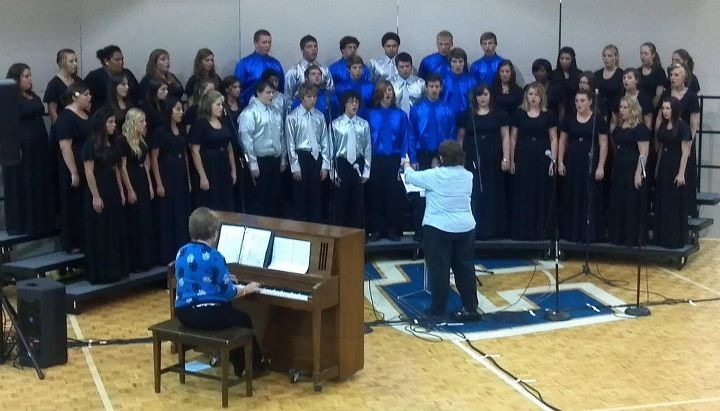 Our main goal each year is to become "quality musicians and excellent singers." Through the use of daily classes, concerts and extra-curricular performance groups, we strive for excellence in all we do. Dr. Watters received her BME (bachelors in music education) from Shorter University (College) in 1988. She received her MME (masters in music education) from Shenandoah University in 2001. Her doctorate in Education, with a focus on leadership and management from Capella University in 2014. Dr. Watters serves as the Fine Arts/ Foreign Language department head, director of choral and theatre activities, Literary team coach, and public relations manager for Gordon Central. Dr. Watters grew up in the Brookhaven community of North Atlanta with her parents, younger brother and sister. In her free time she enjoys traveling, photography, and animal rescue work. She taught three years in elementary school, ten years in middle school and has now been at Gordon Central for seventeen years.